The stunning property is situated on a corner lot in the beautiful Historic Old Northeast. Pull into the private driveway into the oversized one car garage in the most sought-after neighborhood in our city. 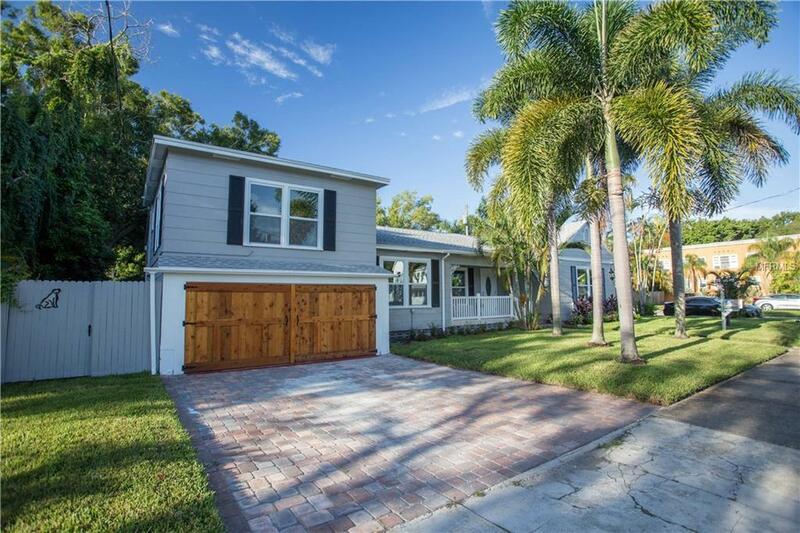 This 4 bedroom 4 and a half bathroom home has an office with a private entrance. 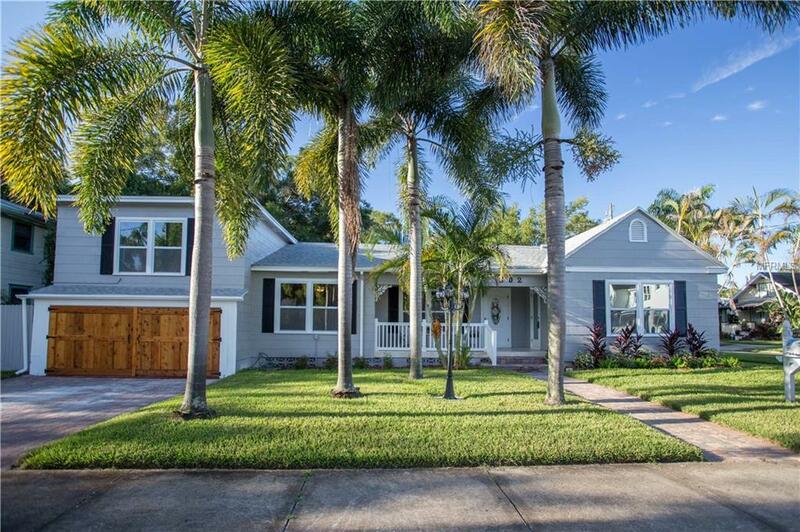 This fully updated craftsman style home is truly one of a kind. The property has a large pavered driveway, a garage, beautiful mature landscaping, refurbished original wood floors, all new stainless steel appliances, a wine cooler, granite countertops throughout, fresh interior and exterior paint, marble floors and backsplash in the kitchen and bathrooms plus two master bedrooms. 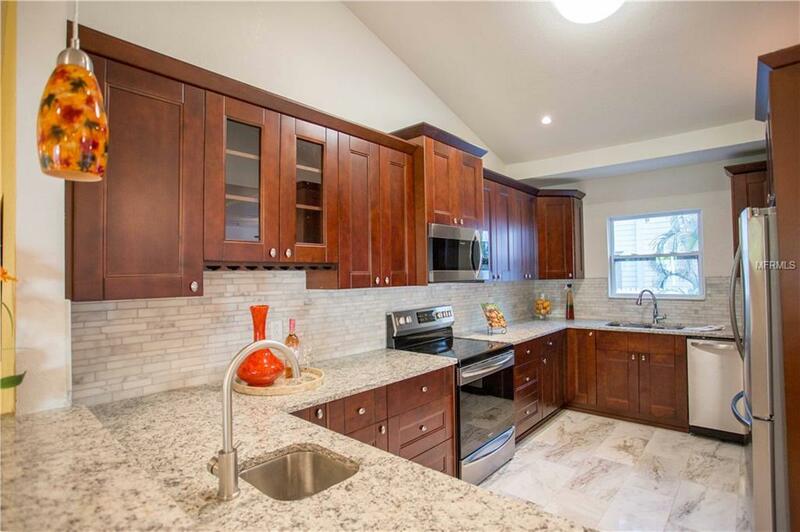 Everything in the home has been renovated with the utmost quality and attention to detail. 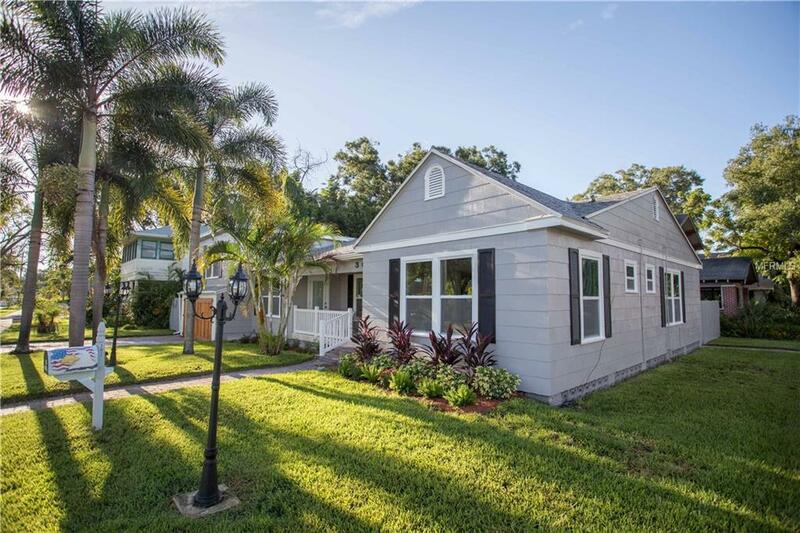 There is nothing to do but move into this stunning home with a new roof, AC and ductwork (two new compressors and air handlers), new storm windows, a new Jacuzzi out back and located in flood zone X, no flood insurance needed. Walk just four blocks to Vinoy Park and Beach Drive where you can dine, shop, attend the theaters, visit art galleries and museums. Enjoy events and holiday entertainment in this friendly, family oriented neighborhood.